When you don’t know how to express your feelings, you can’t go wrong with a beautiful bouquet of flowers. Flower Delivery has a first class reputation for creating the most stunning flower displays, arrangements and bouquets that always hit the right spot. That’s why we get so much return business from our customers and the reason we’ve grown so much in recent years; that and the fact that we love everything to do with flowers with an absolute passion. It doesn’t have to cost a fortune either. We have a fabulous range of bouquets to suit all budgets and are known to be the cheapest online flower shop in Wales. Order now for swift flower delivery! Sending Flowers by post has never been cheaper! Because we have a wide delivery network after growing as a business for the last few years, we can offer our floral products at prices that are more than reasonable! We can also act fast on your order to ensure next day flower delivery or if it’s easier for you, we can send flowers by post. Make a big gesture or a thoughtful one; it’s your choice when you order your flowers with the region’s number one online florists. Our dedicated and experienced florists in Wales have created a fantastic range of outstanding and stunning products to suit every occasion. Order today and get your flowers delivered tomorrow. You just can’t go wrong with flowers and that’s probably why they’ve been the most common gift literally for centuries. After all, they say whatever you want them to say whether it’s ‘I’m sorry’ or ‘get well soon’ and so when you can’t find the words, there’s nothing better than saying it with flowers. A bouquet of roses in instantly romantic and can help you set the scene for a romantic announcement or ‘question’ perhaps? Tropical flowers like exotic orchids are a luxurious way of saying you care about someone. When you send flowers online with us, you make the perfect gesture at a price you will love! Order now and treat yourself to a reliable flower delivery service in Wales! We have a reliable team to ensure prompt delivery of all the orders we receive. We can also deliver your flowers by post if you want to send them further afield so they’re waiting when your loved one returns. Along with our great range of floral gift options, we offer cheap flowers in Wales and so you can make a fantastic gesture no matter what your budget. We have an established reputation for customer service and that’s why we’ve grown on the strength of repeat business. Find out why we’re the region’s number one online flower shop and order your special gift today! Wales is a country that forms part of the United Kingdom. Bordered by the Irish Sea, England and the Bristol Channel, there is a population of just under 4 million living in the country. Wales is extremely mountainous and known for its high peaks like Snowdon, an attraction for international and domestic visitors year-round. The Industrial Revolution saw the development of metallurgical and mining industry sectors, which have since gone into decline. The country’s capital city is Cardiff, one of the most visited destinations by tourists in the UK. When you want to reach out to someone close but they live too far away, flower delivery is the perfect solution. If you order now, your gift will be delivered the same day and you’ll be making your loved one’s day in no time. Our prices are unmatched by the rest of the local flower shops and with our level of dedication and experience, our flowers are the best in the business. Flower Delivery create the kind of flower bouquets and stunning arrangements that take your breath away for prices that don’t! Order today and take advantage of our low cost same day flower delivery in Wales! 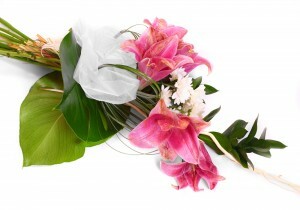 This florist will deliver your flowers immediately after getting your order from their website. I use these guys for special events and occasions. Hands down, you are the best florist in Wales. I can order my roses without going through the trouble of visiting a brick and mortar flower shop. You guys make everything so easy. I really appreciate the way you make things so convenient. This online florist is perfect for flower lovers. Based on my personal experience, they have the fastest flower delivery service. It's also important for me to mention that this flower shop has the freshest flowers. Your flowers by post are terrific if you use this flower shop. You can't beat the flower selection and prompt delivery. I ordered carnations from you three days ago. It was a last minute decision, but you shipped them on time. It's refreshing to know that an online florist like you can deliver a wide variety of flowers to anyone living in Wales.